"This marinated, grilled teriyaki flank steak goes great with broccoli and rice." In a large resealable plastic bag, mix the wine, soy sauce, olive oil, brown sugar, ginger, garlic, and pepper. Place steak in the bag, seal, and refrigerate 8 hours, or overnight. Remove steaks from the bag, and discard marinade. Place steaks on the grill and cook 6 to 8 minutes per side, to your desired degree of doneness. The internal temperature should be at least 145 degrees F (63 degrees C) for rare. Allow the steaks to sit about 5 minutes before slicing against the grain, and serving. 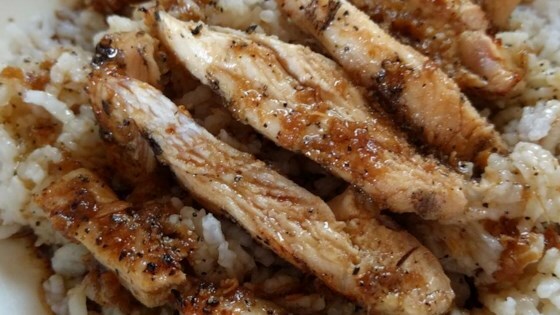 WARNING This recipe isn't gluten free unless you used gluten free soy sauce! Great recipe! Poke some holes in your steaks, let it marinate overnight, huge hit with a group.